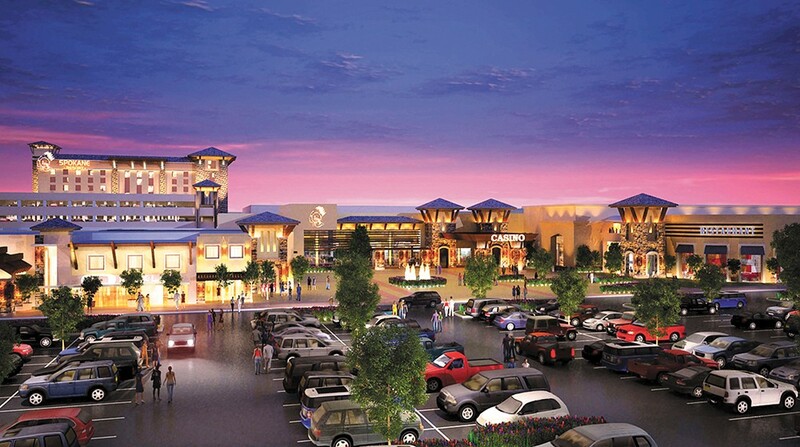 The Spokane Tribe's proposed casino. At its meeting Monday, the Spokane City Council will once again be asked to consider the odds of the region's next big gamble. After passing a resolution in March of 2012 taking a stance against the Spokane Tribe's proposed casino development on the West Plains, the council will now consider rescinding that resolution. The Spokane Tribe Economic Project, or STEP, has been the subject of fervent debate pitting the project against one of the region's largest employers, Fairchild Air Force Base. It's also at odds with the Kalispel Tribe, which operates the nearby Northern Quest Resort and Casino. The environmental report mentioned in the new resolution is the deciding factor, Stuckart says. Despite arguments that the casino would make Fairchild more likely to be closed in a Department of Defense Base Realignment and Closure (BRAC) process, the EIS led by the Bureau of Indian Affairs concluded that "the proposed project would not place additional flight path restrictions or otherwise impact Fairchild AFB's military value." "That argument [about encroachment] is put to bed," Stuckart says. "It's settled. There is none." Furthermore, Stuckart argues, the city shouldn't be in the business of opposing projects on the basis that they could negatively impact business in downtown Spokane. "The implications are pretty much anti-competition," Stuckart says. Councilman Steve Salvatori, who supported the 2012 resolution, calls rescinding the city's opposition a "horrible idea." While no one can predict what will happen in the base's future, Salvatori and others believe the casino could weaken Fairchild's chances in future base closure decisions, no matter what the EIS says. County Commissioner Al French says the county, which has taken its own stance against the project, worries about a "diversion" in spending and therefore in sales tax revenues. That, French says, will hurt public safety and infrastructure, while also potentially putting the base at risk. The gamble, they say, is simply too risky. "The folks bringing this forward, I understand they feel they need to do this for benefit of the tribe, but I feel they're being very cavalier and nonchalant about what this means for Spokane," Salvatori says. Spokane Tribal Council Chairman Rudy Peone echoes Stuckart's arguments and emphasizes the positive impact the project could have on a tribe struggling with high unemployment. The 2012 resolution, he says, was "extremely premature."